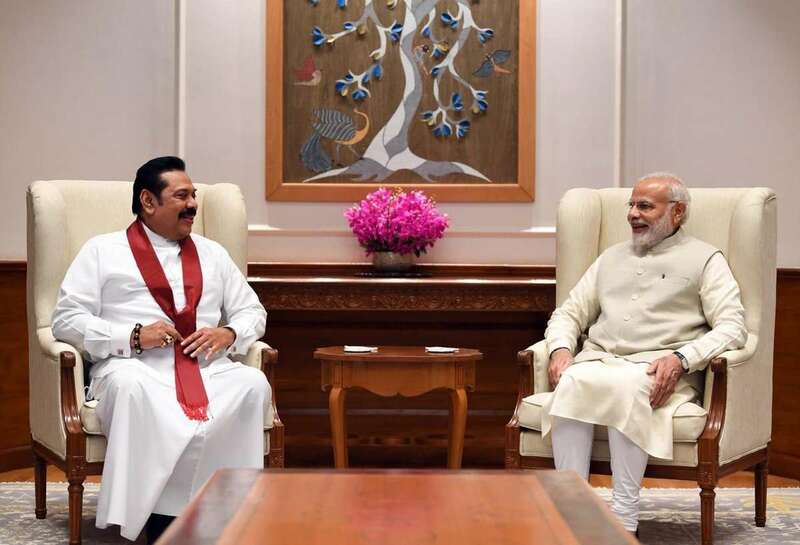 Former President Mahinda Rajapaksa called on Indian Prime Minister Narendra Modil in New Delhi today. 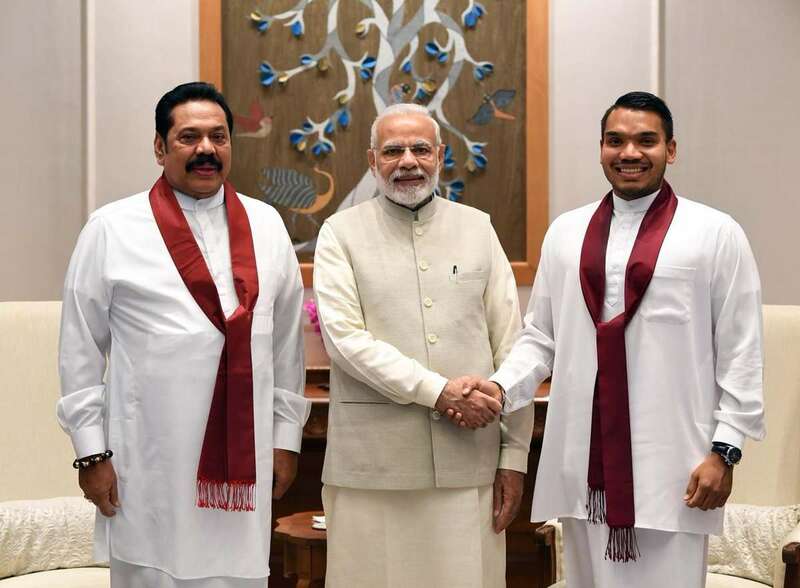 Mr.Rajapaksa was accompanied by MP Namal Rajapaksa. By giving MR a high profile welcome the Indians are forcing Prime Minister Ranil to be even more accomadative to future Indian requests. 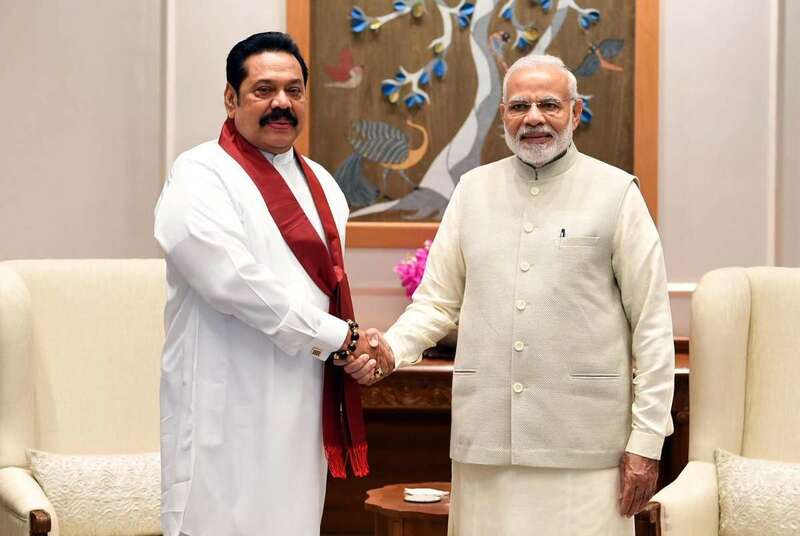 Indians would continue to weaken Sri Lanka to a point when it may not be able to function as an independent nation anymore. 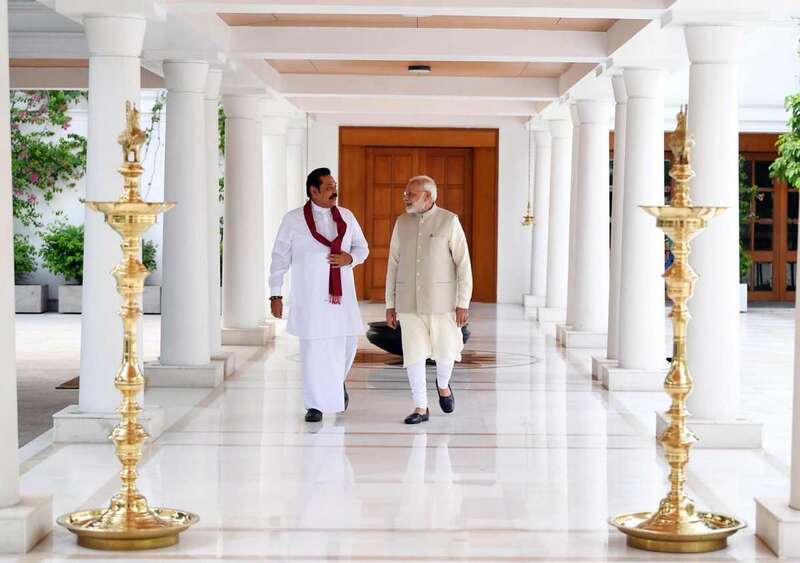 Modi meeting MR, who is on a private visit, is suspicious. Are Indians worried about the mass grave of men,women,and children in Mannar ???? Whatever say the haters MR shines wherever he goes. MR has something on his belly! If you like or not,India and international community already know that MR going to be the next leader of the country.